That document laments the fact that half the UK’s population feel poorly informed about GM crops, and it purports to address that lack by providing « reliable » and « unbiased »answers to peoples’ most pressing questions – information that’s supposed to enable« rational debate ». The bias is evident from the outset, and the authors don’t even provide an honest answer to the initial question: « What is genetic modification (GM) of crops and how is it done? »Their response is substantially misleading because they omit the most unnatural and unsettling features while downplaying the unnaturalness of those they do mention. They say this is possible « because individual plant cells have an impressive capacity to generate entire plants », but they neglect to disclose that this capacity can only be actualized through a distinctly artificial process – in contrast to natural seeds, which grow into plants spontaneously. That process is called ’tissue culture’, and although the authors note that it’s employed, they say nothing more about it – which obscures the fact that through its procedures, the cell is « forced to undergo abnormal developmental changes. » [iii] They also becloud the fact that besides being highly unnatural, tissue culture is highly disruptive – and imparts what’s referred to as a ‘genomic shock’ that causes numerous mutations throughout the plant’s DNA. The authors attempt to support their spurious claim by arguing that « all » plant genomes« frequently » receive insertions of new DNA through viral and bacterial infections and through the activity of ‘jumping genes’ – and that these insertions are « similar » to those made via GM, which entails that conventional breeding is just as likely to have unforeseen consequences. In glaring contrast, the expert panel that produced the report of the Royal Society of Canada, who took account of the facts the guide’s authors ignored or distorted, concluded that while pollen-based breeding rarely involves worrisome unintended outcomes, the« default prediction » for every GM crop should be that it entails unintended effects that are hard to predict, could be difficult to detect, and might be harmful to human health. « Is it safe to eat GM crops? » Of all the questions the guide addresses, this is the most crucial. And it answers with a resounding « Yes. » But this simple answer is simply unjustified. But to do so, they resort to trickery. They claim that only « a few » studies have stated that a GM food caused harm when in fact there have been many. They then summarily dismiss all these studies as ‘unreliable’. And to justify this wholesale rejection, they argue that each of the studies has been « challenged » regarding its statistical analysis and methodology. But not only did the chief editor acknowledge the adequacy of the toxicological findings, the lone reason he proffered for rejecting the tumour-related findings was that they were« inconclusive », which is not a valid reason for retraction. Moreover, according to standard guidelines, even if there had been good grounds for retracting that part, the rest of the study should not have been pulled. Furthermore, besides unfairly rejecting the studies that reported problems, the authors don’t even describe them fairly. For instance, they assert that none has indicated that« the GM method itself » caused any harm and that all the problems have been attributed either to the specific gene introduced or to particular agricultural practices. But this claim is doubly bogus. ix Mendel in the Kitchen (cited in note 6) pp. 104-05. However, Fedoroff points out that wide crosses between « very distantly related plants » can activate transposons. xiii Seralini, G.-E., et. al. 2012. 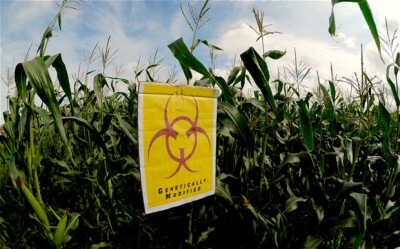 »Long Term Toxicity of a Roundup Herbicide and a Roundup-tolerant Genetically Modified Maize. » Food and Chemical Toxicology 50:4221-31 (retracted 2013). Republished in Environmental Sciences Europe 26:1-17 (2014). xv Editorial: « Health risks of genetically modified foods, » The Lancet 353, May 29, 1999: 1811. Horton, R., « GM Food Debate, » The Lancet 353, issue 9191, November 13, 1999: 1729. Modified Potatoes Expressing Galanthus nivalis Lectin on Rat Small Intestine. » Lancet 354 (9187): 1353-54.
xviii For instance, its Biological Secretary asserted that the Lancet published Pusztai’s research « in the face of objections by its statistically-competent referees. » But because five out of the six referees voted for publication, the Secretary’s implication that more than one objected is false – and the implication that no one with statistical competence voted favorably is almost surely false as well. (Bateson, P., « Mavericks are not always right, » Science and Public Affairs, June 2002.) The unjustness of the Society’s attack is more extensively described and documented in my 2015 open letter to the Society’s president and in Chapter 10 of my book.